Forty years after the landmark Roe v. Wade ruling, "abortion" is still a word that is said with outright hostility or vague discomfort by many, this despite the fact that one in three American women will have terminated at least one pregnancy by the time they reach menopause. Even those who support a woman's right to terminate her pregnancy often qualify their support by saying abortion is a "bad thing," an "agonizing decision," thereby placing the medical procedure on a pedestal so remote and radioactive that it takes it out of the world of the everyday, turning an act that is often necessary, and often welcomed, into something shameful and secretive. Meanwhile with each passing day the rights upheld by the Supreme Court are being systematically eroded by state laws designed to end abortion outright. 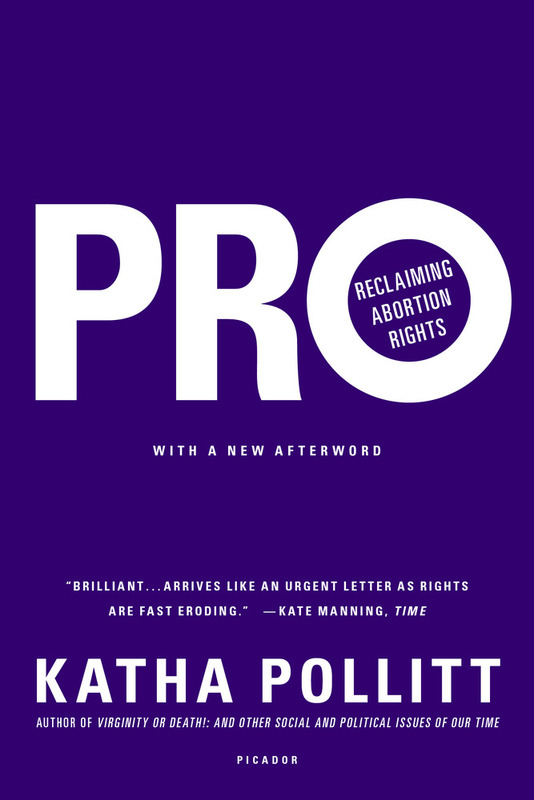 In this controversial and necessary book, Katha Pollitt reframes abortion as a common part of a woman's reproductive life, one that should be accepted as a moral right with positive social implications. In clear, concise arguments, Pollitt takes on the personhood argument, reaffirms the priority of a woman's life and health, and discusses why terminating a pregnancy can be a force for good for women, families, and society. 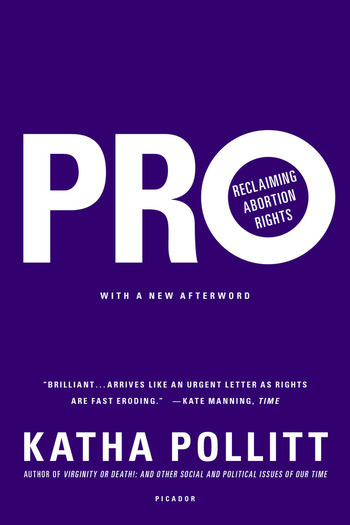 By whole-heartedly defending abortion rights, Pollitt argues, we reclaim the lives and the rights of women and mothers. “Explosive.” —Flavorwire "25 Must-Read Books for the Fall"
Katha Pollitt, the author of Virginity or Death!, is a poet, essayist, and columnist for The Nation. She has won many prizes and awards for her work, including the National Book Critics Award for her first collection of poems, Antarctic Traveler, and two National Magazine Awards for Essays and Criticism. She lives in New York City.